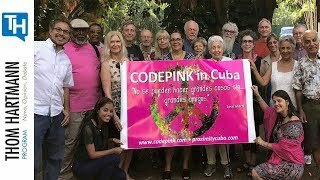 Event: October 29-November 5, 2017: Cuba: "Code Pink Trip". Article: "Cuban Literacy Campaign" by Wikipedia. Article: "Health-related incidents at the United States Embassy in Havana" by Wikipedia. Article: "Computer scientists may have solved the mystery behind the ‘sonic attacks’ in Cuba" by Nora Gámez Torres. Article: "Cuba has a lung cancer vaccine. 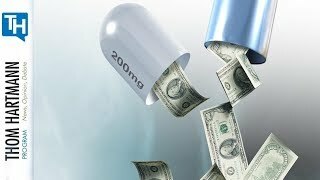 Many U.S. patients can’t get it without breaking the law" by Sally Jacobs. Article: "Report on the Subject of Manufactures" by Alexander Hamilton. Article: "DACA Permits Are Expiring Today. Here's What That Means For Dreamers" by Valentina Zarya. Articles: "March 12, 2018, Issue" by The Nation. Article: "Truman vs. Steel Industry, 1952" by Erin Skarda. 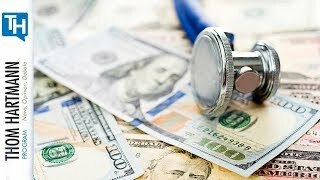 Article: "How to Prevent More Billionaires from Happening" by Thom Hartmann. Article: "In Maine, a push in Legislature could lead to a rewrite of the U.S. Constitution" by Colin Woodard. Article: "Threat of Shootings Turns School Security Into a Growth Industry" by Tiffany Hsu. Article: "State Dept. Was Granted $120 Million to Fight Russian Meddling. It Has Spent $0." by Gardiner Harris. Article: "Trump’s Yanked Support for Hudson Tunnel Angers Those Who Saw a Done Deal" by Patrick Mcgeehan, Jeffery C. Mays. Article: "Thugs, Leeches, Shouting and Shoving at Trump Hotel in Panama" by Kirk Semple, Ben Protess, Steve Eder. Article: "Big Wall Street Banks See Chance to Weaken Post-Crisis Rule" by Emily Flitter, Kenneth P. Vogel, Alan Rappeport. Article: "Arctic warming: scientists alarmed by 'crazy' temperature rises" by Jonathan Watts. Article: "Trump toys with rejoining TPP trade pact" by David Hutt. Article: "During a chaotic week in the White House, Trump quietly ramped up his 2020 reelection campaign" by Emily Stewart. 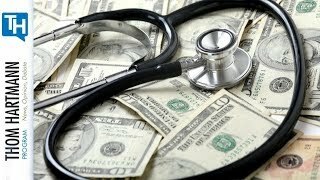 Video: Can One Medical School Change the World?. Article: "Trump Lawyer’s Payment to Stormy Daniels Was Reported as Suspicious by Bank" by Joe Palazzolo and Michael Rothfeld. Article: "The Trump Panama hotel showdown appears to end, and the Trump name is coming down" by Ana Currud and David A. Fahrenthold. Article: "Netanyahu, Visiting U.S., Is Stalked by Legal Troubles at Home" by Isabel Kershner. Article: "Trump 'may' travel to Jerusalem for US embassy opening" by Jeremy Diamond. Article: "Trump Accuses Obama of Trying to ‘Discredit’ His Campaign: ‘Bigger Than Watergate!’" by Joe DePaolo. Article: "Trump: Tariffs will be lifted once new NAFTA deal signed" by TMN. Article: "EU threatens tariffs on Harley-Davidson motorcycles, bourbon and blue jeans" by Douglas Christian. Article: "Special counsel wants documents on Trump, numerous campaign associates" by Katy Tur, Alex Johnson. Article: "Russia ‘blocked Trump from appointing Romney as secretary of state, unpublished Christopher Steele memo claims’" by Ben Riley-Smith. Hour Three: Nikolas Cruz was a Racist...Does that Make His Attack Terrorism? Article: "Nikolas Cruz Was a Racist. Does That Make His Attack Terrorism?" by Dean Obeidallah. Article: "ADL Report: White Supremacist Murders More Than Doubled in 2017" by ADL. Article: "The Year in Hate: Trump buoyed white supremacists in 2017, sparking backlash among black nationalist groups" by SPLC. Article: "March for Our Lives" by Wikipedia. Article: "Trump’s Tariff Can’t Start A Trade War Because It Started Years Ago" by Zach Carter. Article: "The GOP Is Conducting Cyber Warfare Against Political Opponents" by Steven Rosenfeld. Article: "The Social Media Psy-op That Took Down Al Franken" by Nina Burleigh. Book: Loaded: A Disarming History of the Second Amendment by Roxanne Dunbar-Ortiz. Article: "Trump calls for $1.5 trillion infrastructure bill during State of the Union speech" by Kevin Breuninger. Article: "Trump Suggests Arming 20 Percent Of Teachers With Guns To Prevent School Shootings" by Jason Le Miere. Article: "Richard Speck" by Wikipedia. Article: "March 2018 Caucus Information" by State of Colorado. Is The Imagine Most Americans Have Of Cuba The Result Of Conservative Propaganda?